View our frequently asked questions which cover information about us, how to apply for a job, as well as shareholder information. Got an account question or something not mentioned in our FAQs? Tweet us, just please don't share your account details via Twitter. We offer video banking in certain countries, allowing you to speak to us over a secure connection from wherever you are. We opened our office in the United Kingdom in 1853 and employ 1,736 staff. London is home to our headquarters and is a key hub for our business. We also conduct significant Private Banking and International Banking operations from our London base. Standard Chartered PLC is incorporated in England with limited liability under company number 966425 and has its registered office at 1 Basinghall Avenue, London, EC2V 5DD. 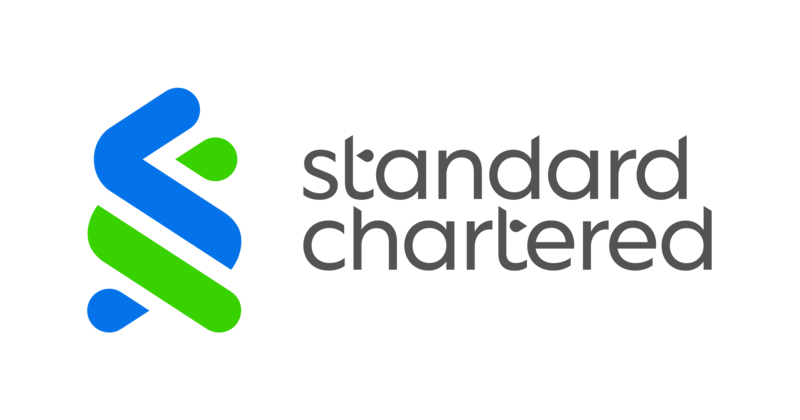 Standard Chartered Bank, an indirect subsidiary of Standard Chartered PLC, is incorporated in England with limited liability by Royal Charter 1853, under reference number ZC18. The principal office of Standard Chartered Bank in England is situated at 1 Basinghall Avenue, London, EC2V 5DD. In the United Kingdom, Standard Chartered Bank is authorised by the Prudential Regulation Authority and regulated by the Financial Conduct Authority and Prudential Regulation Authority. As the only international bank present in all 10 ASEAN markets, we have developed a unique understanding of the region and the needs across the markets. Level 5, 345 George Street, Sydney NSW 2000, PO Box 7042, Sydney NSW 2001, Australia. 67 Gulshan Avenue, Gulshan, Dhaka 1212, Bangladesh. 51-55, Jalan Sultan, Omar Ali Saifuddien, Jalan Sultan Complex, Bandar Seri Begawan, Brunei Darussalam, BS8811. Phnom Penh Representative Office, Unit G-02, Himawari Hotel, No. 313, Preah Sisowath Quay, Phnom Penh, Cambodia. 201 Century Avenue, Pudong , Shanghai 200120, China. 32nd Floor, 4-4A Des Voeux Road Central, Hong Kong. Crescenzo, C-38/39 ‘G’ Block, Bandra Kurla Complex, Bandra East, Mumbai, 400 051, India. Menara Standard Chartered, Jl. Prof. DR. Satrio No.164, Jakarta 12930, Indonesia. Sanno Park Tower 21st floor, 2-11-1 Nagata-cho, Chiyoda-ku, Tokyo, 100-6155 Japan. Representative Office, House No. 099/05 Ban Naxay, Nongbone Street, Hom # 2 (Postal Address: P.O. Box 6895), Vientiane Capital, Lao P.D.R. Unit 807, 8/F Office Tower, Macau Landmark, Avenida de Amizade, Z.A.P.E. Level 16, Menara Standard Chartered, 30 Jalan Sultan Ismail, 50250 Kuala Lumpur, Malaysia. Myanmar Representative Office, Unit No 6H No.65, Centrepoint Towers, 6/F, Kyauktada Township, Yangon, Myanmar. Naya Baneshwore, Madan Bhandari Marg, Ward No.34, Kathmandu Metropolitan City, Bagmati Zone, Kathmandu, Nepal. SkyPlaza Bldg., 6788 Ayala Avenue, Makati City, 1226 Philippines. 47 Jongno, Jongno-gu, Seoul, 03160, Republic of Korea. 37 York Street, Colombo-01, Sri Lanka. No. 168, Dunhua N. Rd., Songshan Dist., Taipei City , Taiwan, R.O.C. 100 North Sathorn Road, Silom, Bangrak, Bangkok, Thailand, 10500. Room 1810-1815, Level 18, Keangnam Hanoi Landmark Tower, Pham Hung Road, Me Tri Ward, Nam Tu Liem District, Hanoi, 10000, Vietnam. Rua Gamal Abdel Nasser, Edificio Tres Torres, Eixo Viario, Distrito Urbano da Ingombota, Municipio de Luanda, Provincia de Luanda, Angola. 5th Floor Standard House Building, The Mall, Queens Road, PO Box 496, Gaborone, Botswana. 1143 Boulevard de la Liberte, Douala, BP 1784, Douala, Littoral Region, Cameroon. Standard Chartered Bank Cote d’Ivoire, 23 Boulevard de la République, Abidjan 17, 17 B.P. 1141, Cote d’Ivoire. El Sheikha Fatma Street, City Stars Office Buildings, Star Capital 2 - 2nd Floor, Office 21/22, Heliopolis, Cairo. Standard Chartered Bank Building, 6 John Evans Atta Mills High Street, P.O. Box 768, High Street, Accra, Ghana. Number 48, Westlands Road, PO Box 30003 – 00100, Nairobi, Kenya. 142, Ahmadu Bello Way, Victoria Island, Lagos, Nigeria. 9 & 11, Lightfoot Boston Street, Freetown, Sierra Leone. 8 Ecowas Avenue, Banjul, The Gambia. Standard Chartered Bank Building, 5 Speke Road, PO Box 7111, Kampala, Uganda. PO Box 32238, Cairo Road, Lusaka, 10101, Zambia. Shmeissani, Al-Thaqafa Street, Building no.2, PO Box 926190, Amman 11190, Jordan. Maarad Street, Atrium Building, Downtown, Beirut, Lebanon. P.O. Box No. 5556, I.I Chundrigar Road, Karachi 74000, Pakistan. 32, Rue De Monceau, Paris 75008, France. Taunusanlage 16, 60325 Frankfurt am Main, Deutschland/Germany. Bordeaux Court, Les Echelons, South Esplanade, St. Peter Port, Guernsey. Jersey Branch, PO Box 80, 15 Castle Street, St Helier, Jersey JE4 8PT, Channel Islands. Södra Kungstornet, Kungsgatan 33, 12th floor, 111 56 Stockholm, Sweden. Buyukdere Cad. Yapi Kredi Plaza C Blok, Kat 15, Levent, Istanbul, 34330 Turkey. Av. Leandro N. Alem 855 – 32nd Floor, Buenos Aires (C1001AAD), Argentina. Avenida Brigadeiro Faria Lima, 3600 – 7th floor, Sao Paulo, 04538-132, Brazil. Carrera 7,71-52, Torre A Oficina, 702 Bogota, Colombia. Ross Road, Stanley, Falkland Islands, FIQQ 1ZZ. 1095 Avenue of the Americas, New York, NY 10036. Looking for our latest news, views and comments? Need shareholder or transfer agent information? Want to work for us? Read our FAQs or contact us. Please forward suspicious messages or emails claiming to be from us to be.secure@sc.com. Include the full email header or senders details and attachments so we can try and track the source. You can also contact us if you want to validate a phone call you received claiming to be from somebody at the bank. If you think you've found a weakness in any of our online banking services or products, please send us an email immediately so we can look into the matter. risk or exploitability of the vulnerability (this will help us understand the impact more clearly and enable us to prioritise the fix). Offering a solution would be nice, but not required. adversely impact Standard Chartered or the operation of Standard Chartered software or systems. Standard Chartered does not waive any rights or claims with respect to such activities. Call the number on the back of your bank card or statement for banking queries and to report fraud. These contact numbers, can also also be found on our country websites. Find your local site here. Report a genuine concern about misconduct, including any breach of a legal obligation, breach of our Code of Conduct, fraud or financial crime through our whistleblowing service, ‘Speaking up’.